It seems an obvious statement to make, but parking your car or van somewhere shady during hot sunny weather will really help. It means that when starting the engine, the car’s air conditioning system does not have to cool very warm air from the start. In addition, it can help keep the internal surfaces cooler, such as the steering wheel and seats, making it much more comfortable. When you first start your car or van, it is worth placing your air conditioning system in the recirculating mode. This allows the air conditioning to keep cooling the same air and will take effect more quickly than the warmer outside air. However it is worth noting that this should only really be used for short periods of time as the recirculated air can be come stale if continued for too long. Using a reflective sun screen across the dashboard and windscreen is a useful way to help keep the inside of the car or van cooler. This is particularly the case for the steering wheel. There are a range of sun screens available, but it’s worth investing in the ones that reflect the heat and light rather than just blocking it. If you have not managed to find a shady parking space and you will be away from your car for an extended period, it can be worth covering your seats with a blanket, particularly if you have non-fabric seats such as leather. The non-fabric seats can become extremely hot when in direct sunlight and therefore uncomfortable to sit on when you return. It is a good idea to let some of the heat out of your car or van before setting off on your journey. Simply opening the doors or windows for 5 minutes will help reduce the initial heat inside the car and therefore means that your air conditioning system will not have to work as hard to cool the air. It is a very simple but effective idea that can help reduce the need for re-gassing the air conditioning system too frequently! Having the engine stop/start when in traffic or at lights is good for being able to save fuel, however it’s not so good at keeping you cool in hot conditions. 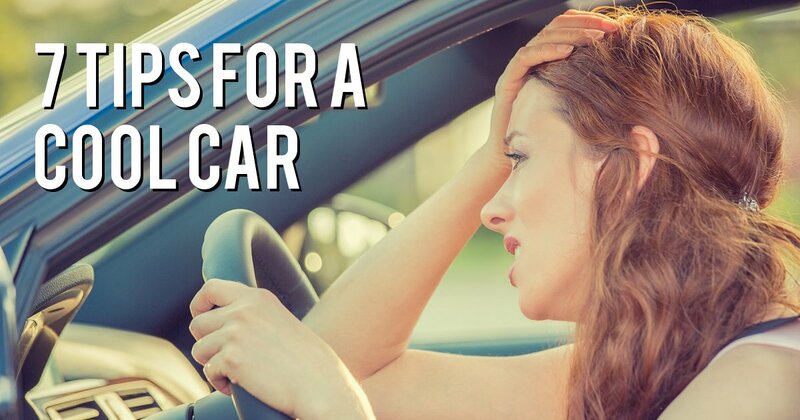 As the engine stops air conditioning system also switches off so the air heats up again, especially if you’re stationary for longer periods of time. By allowing the engine to continue running, your air conditioning will also continue to work. It is a good idea to ensure that you maintain and service the air conditioning system each time you book the car or van in for a service. The technicians can check that it is operating well and if the air conditioning system needs a re-gas. If you feel that your air conditioning system needs to be re-gassed, Garage Express are here to help. Simply give us a call on 0208 905 8788 to book in your car or van at our North London garage. We can service any vehicle with old style Air Conditioning Gas or the new 1234YF Gas. We even service electric and hybrid air conditioning systems.